How wonderful to share with you my friends, what a lovely day it’s been today. 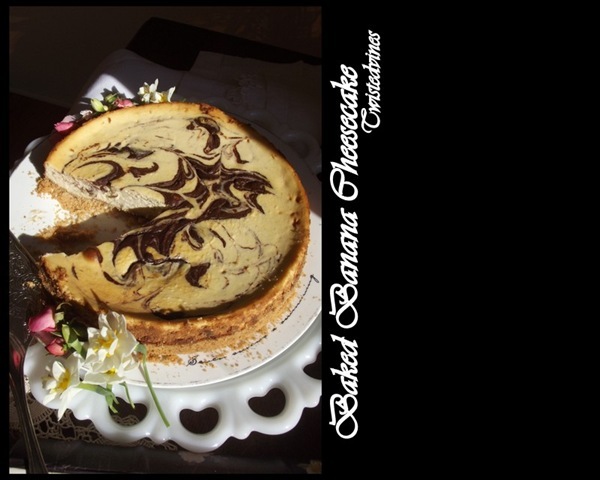 A few rays of Autumn sunshine, although the air is crisp and cool, a little home-style baking, time to write and hear back from a friend via e-mail and an afternoon ‘happy moment’ with my sister with coffee and a slice of this baked banana cheesecake. 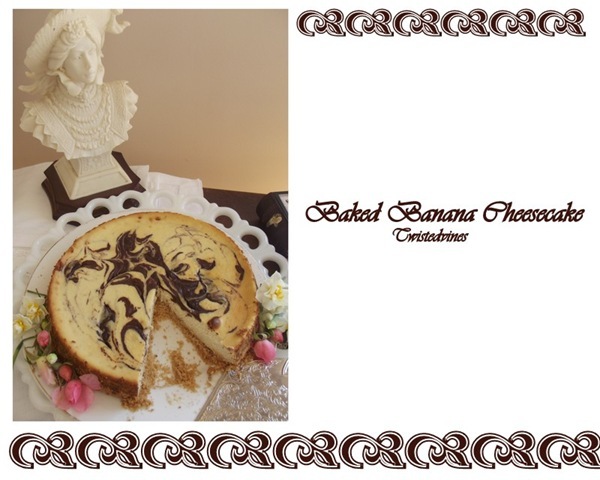 This baked banana cheesecake, sort of just came together while out shopping, I had decided not to through away those forgotten bananas before not attempting to bake something with them. In my mind, was my favourite banana bread recipe, but while out I picked up one (I have too many!!) of my monthly cooking magazines. And wow! just what I needed a seasonal special on baking with banana’s. Chocolate & Banana French toasties;Banana & Apple friands; Beef vindaloo with coconut & banana sambal; Banoffee trifle; Spiced banana tarte tatin…but I had to use those over ripen banana’s and the recipe to win me over was the baked banana and caramel cheesecake. I substituted the caramel for chocolate. 250 grams plain biscuits, grounded + 100 grams butter, melted + 1/4 cup (20g) desiccated coconut + 1 teaspoon cinnamon + 2 large ripe bananas + 375 grams cream cheese, room temperature + 250 grams mascarpone, room temperature + 1/3 (75g) caster sugar + 3 eggs, room temperature + 100 grams chocolate dark 70% cocoa. Grease and line a ‘cheesecake’ tin 26cm round with baking paper. Place biscuits in a kitchen whiz and ground until a fine crumb. Place in a bowl, adding the coconut and the melted butter. Combine and press firmly the crust mixture into the bottom of the tin. Refrigerate for 30 minutes. Preheat oven to 170°C. Mash the bananas until smooth and set aside. In a bowl add the cream cheese and beat with an electric beater until smooth. Add mascarpone and sugar, continue beating gently adding the eggs one at a time. Fold in banana. Spoon over the crumbed set base. Melt the chocolate drizzle into filling and use a skewer to create a marble effect. Work quickly. Bake in oven for 40-45 minutes, until set. Let to cool inside oven, with door slightly open and oven tuned off. Enjoy friends, hope you have a great weekend. What a lovely cake for a lovely day! It would have been lovely to share a slice of cake and a cup of tea with you Yvette. With you too Mandy, it certainly was a delicious slither of creamy goodness, have a wonderful weekend! The cheesecake looks delicious. Your post is beautiful! This is one beautiful cheesecake, Yvette. 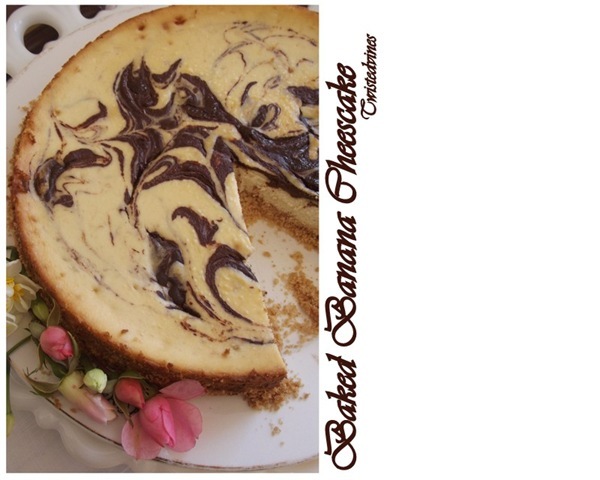 Mixing the flavors of cheesecake with those of banana and chocolate is an idea whose time has come! 🙂 And, as always, your presentation is spot-on, placing your cake in the best light possible. I’ve pinned it and fully expect to make this cake. Thank you, Yvette, for sharing it with us. ooo…I love Autumn! Your day sounds like it was awesome…relaxing, soothing, and blessed. What a yummy-licious cheesecake! I’d never think of bananas in cheesecake. I’m glad you had a wonderful moment with your sister. Those are treasured times. 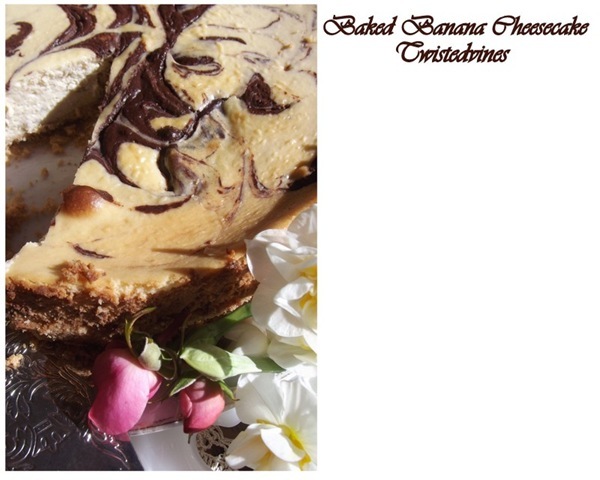 It’s the first time, I’ve made a banana cheesecake, I rarely use banana’s in anything else but muffins and banana bread..oh and maybe a summers trifle.but as I found in the article there are many a dish to be had. Have a joyous weekend, ours is a long weekend in New South Wales. Fantastic presentation! This looks so delicious. What a happy moment! Our ‘happy moments’ are so that we enjoy a small indulgence, such as chocolate every day as a flavoursome moment -having a ‘happy moment’ to look forward to each day may mean the difference between giving up in a weak moment and finding the motivation to carry on through a weight loss journey! All good on paper…living through the many temptations is always harder. Lovely presentation, too. Happy Sunday. I love cheesecake and bananas but never thought of putting the two together. Brilliant! and as always, beautifully presented Yvette. 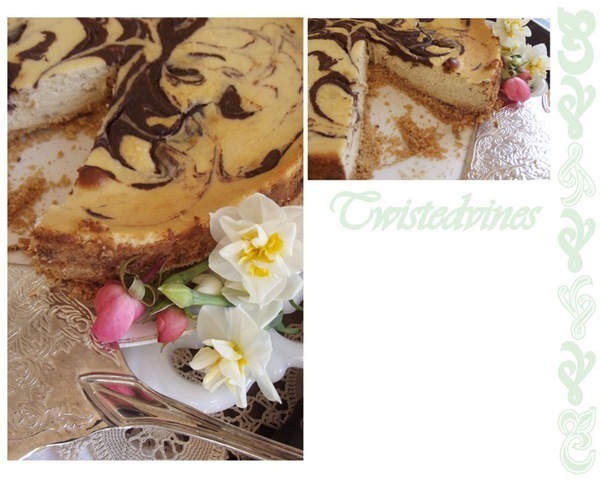 I also love cheesecakes & this one looks just SUPERB! Waw! 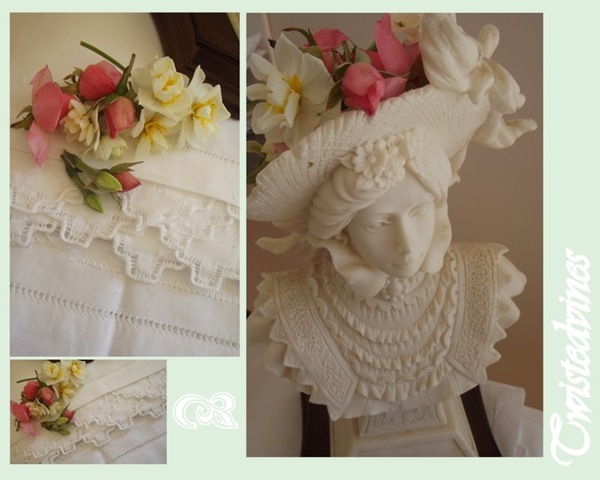 A work of love & art! Looks delicious! Thank you for joining me at Home Sweet Home!